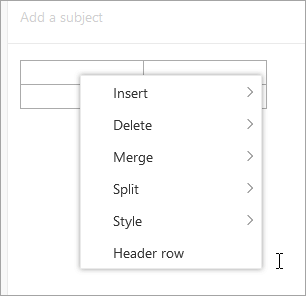 You can insert a table in your Outlook.com email messages or calendars to help you organize your data. At the bottom of the compose pane, select More > Insert table. Right-click any cell in the table.